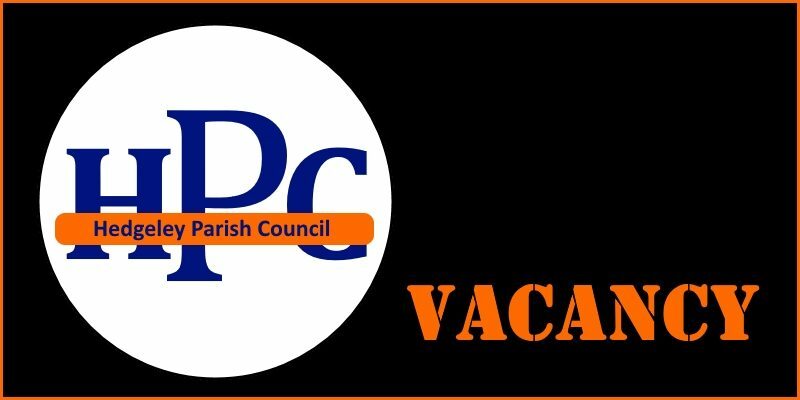 NOTICE IS HEREBY GIVEN that by reason of the resignation of Cllr P Barton a vacancy has occurred among the members of the Hedgeley Parish Council. Any person willing to fill this vacancy should apply to the Clerk in writing on or before 31 October 2018. The applicant’s name must appear on the current register of the Voters List or the applicant should, during the whole of the twelve months preceding the relevant date, have resided in or within three miles of the parish or the applicant’s only place of work during the whole of the twelve months preceding the relevant date is in the parish. The applicant must not be debarred from standing as a Councillor. PUBLIC elections cannot be held until the year 2021 but for the interim period the present sitting Councillors may co-opt to fill the vacancy.